CAT phones has made our headlines in recent years by matching their rugged design with a suite of features that no other phone can match, like the built-in thermal imaging, laser measure, and humidity and VOC sensors that the Cat S61 has. Those past phones have been unlocked and compatible with certain networks of the user’s choosing, but their latest release is starting out only available on the Sprint Network. The Cat S48c was officially available starting November 9, 2018 in Sprint retail store or through their website. It’s not going to wow you with tons of features, like those included on the S61 mentioned above, but it does maintain the flagship ruggedness and long runtime while coming in at half the price of the S61 ($480 vs. $999). This release also marks the first Cat phone to launch on a US mobile carrier. Many construction users will be excited to hear that the S48c has a programmable key on the side of it that is compatible with Sprint Direct Connect, the mobile carriers push-to-talk platform. The phone’s IP68 rating makes it water and dust proof, allowing it to be completely submerged under 4 feet of water for 35 minutes. It is also built to withstand repeated drops onto concrete from 6 feet. The included 4000mAh battery is larger than most top-of-the-line smartphones on the market, boasting talk time of up to 30 hours, almost enough time to get a contractor through a full day’s worth of calls. It won’t have quite as powerful of a processor that the top phones do, however, with its Qualcomm SDM630 chipset Octacore 2.2GHz processor. 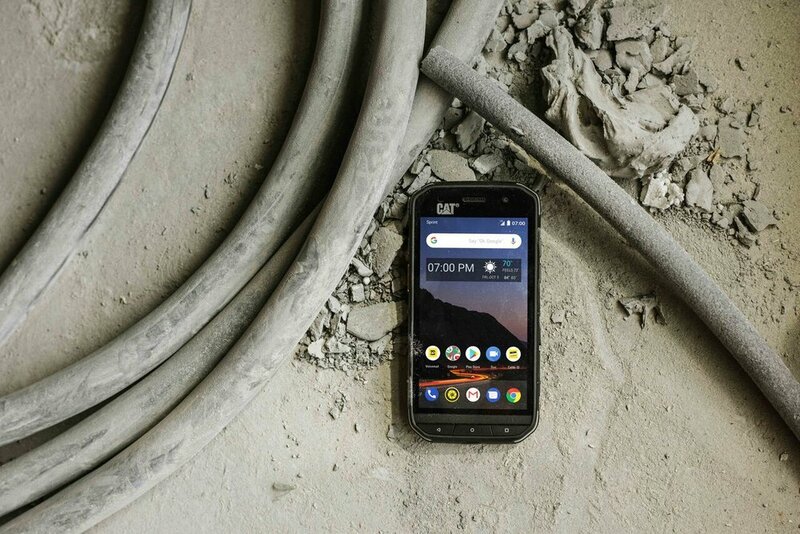 Other useful features include touchscreen compatibility with gloved or wet hands and the ability to work in extreme temperatures between -13 degrees F and 131 degrees F. With its rugged design meant for the toughest conditions and the addition of the push-to-talk feature, this phone could be a contender for many construction teams.